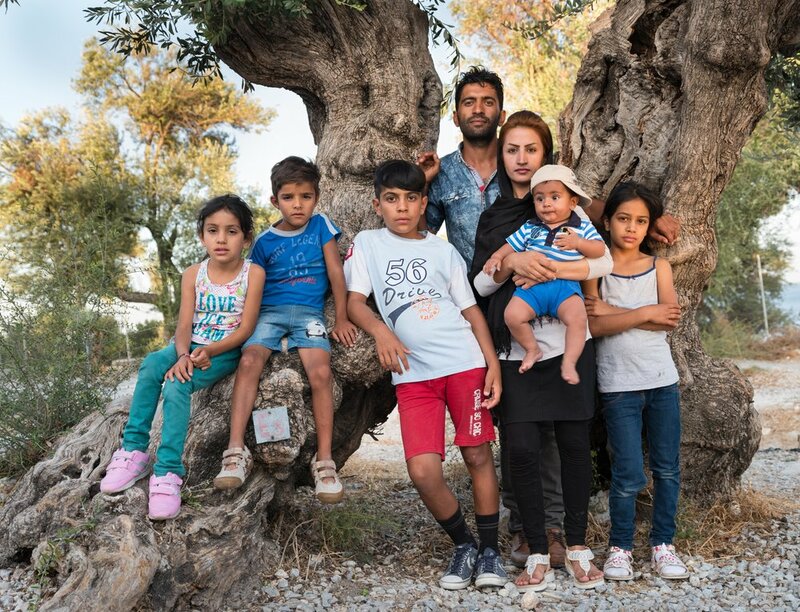 These family portraits are offered to the residents of Kara Tepe, a refugee camp on the Greek island of Lesvos, in partnership with Movement on the Ground, an innovative, compassionate Dutch NGO. The photos, printed out and delivered to the families, document this time in their histories, the moment when someone decided that a bold escape was the only rational choice. They offer future generations a glimpse of their brave ancestors. 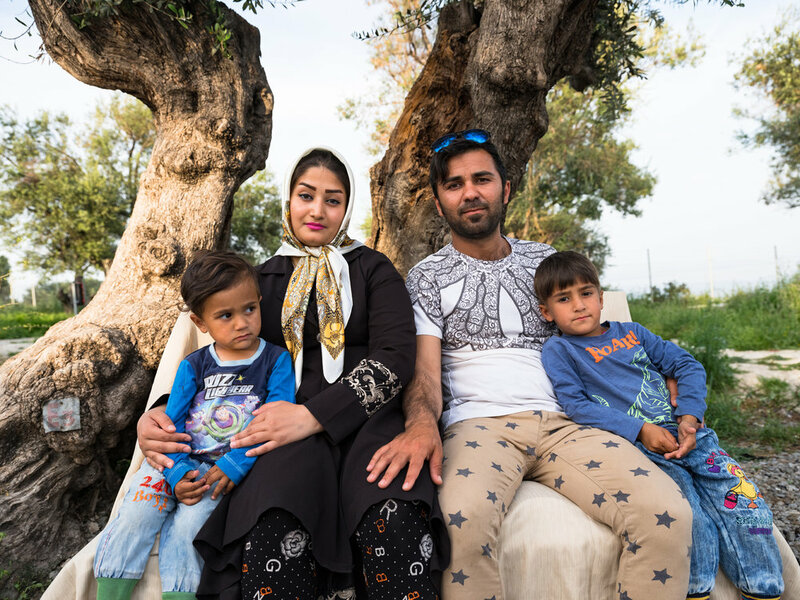 The portraits serve as a reminder that the refugee crisis, regularly depicted as a mass migration of undesirables, is a collection of individual acts, done for love and preservation of family. A project in development, called Family Portraits, was shared at The Stavros Niarchos Foundation’s International Conference on Philanthropy and Summer Festival in 2018. The work is ongoing, and done with the generous approval of the Municipality of Lesvos.